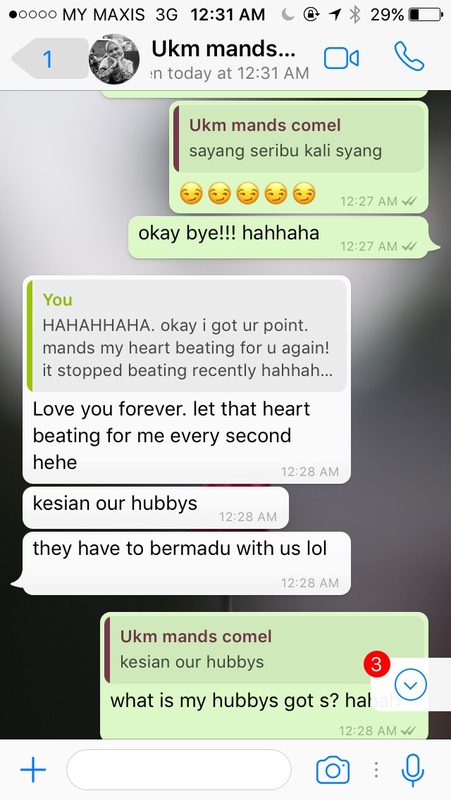 I was cooking at our outside kitchen, which is an open air kitchen and then, I got a video call from her, soon after that, we were Whatsap-ing to each other. Oh, we had a late dinner together with mom actually before that and started to talk about friends coming over to my house and mom asked me about the person I was on the video call just now. I told mommy, it was Eya and she will be coming over as well. To remind mom again. 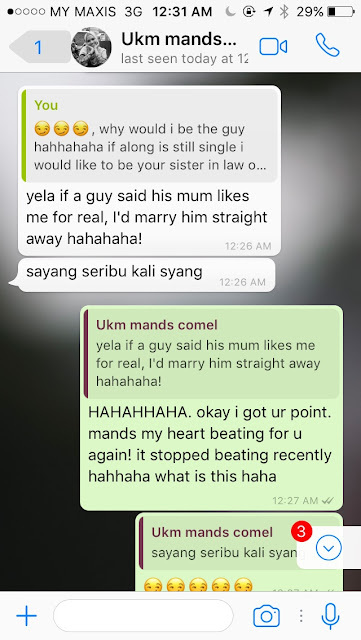 So, I whatsApp Eya and told her this. 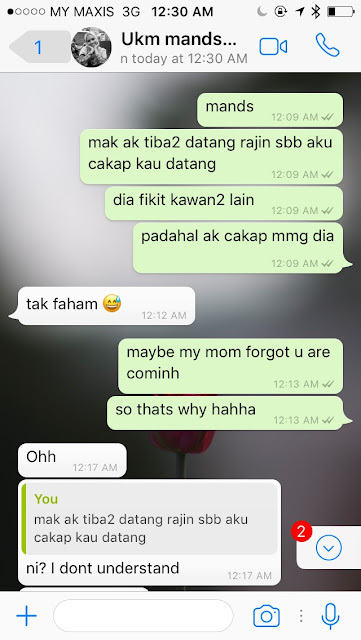 Because honestly, mom getting excited knowing that she will be coming over as well, so she started to feel excited and did something, so I told Eya about this. And this girl was staying with me for four years and still did not get to catch up the meaning behind my text.. WHEN ARE YOU GONNA START TALKING LIKE... arghh u read it yourself okay. Anyway, she is single and has no crush to anybody. (Ejat, when are you going to make a move.....?!) Along, look at your sister. HAHAHHA, okay this is another lovey dovey session. Anyway don't worry our heart are for boys. HAHAHA. 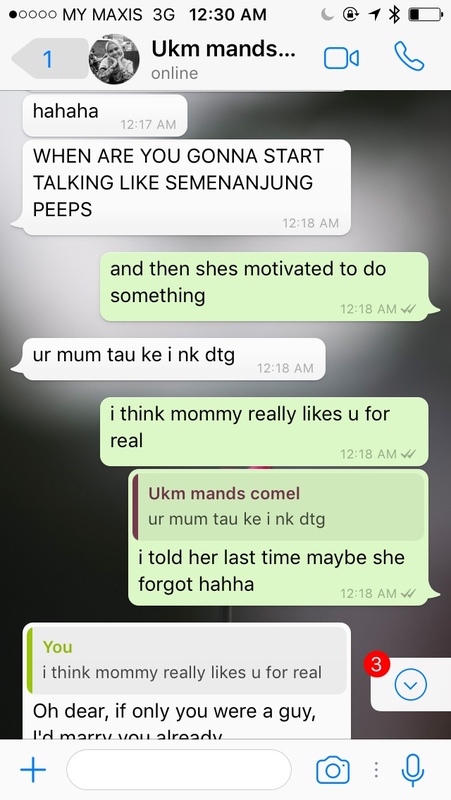 Guys, please jot down that point, tell her your mom likes her too HAHAH. It's actually "WHY", I was overreacted. 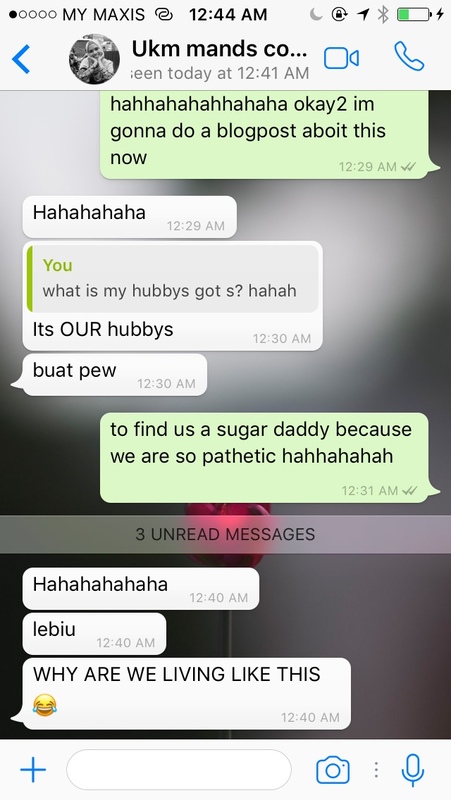 Any sugar daddys want to sponsor us? 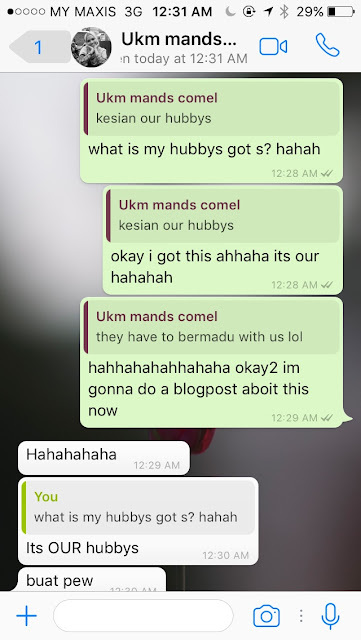 To my other friend, my mom also excited about you girls okay, she prepared everything for all of u without knowing who you are. HAHAH. 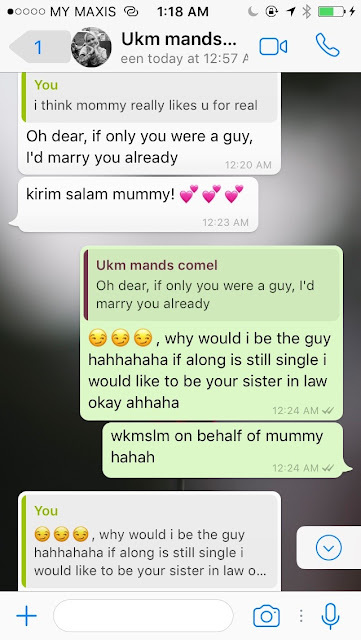 But, sorry I only had 2 brothers and they are married. 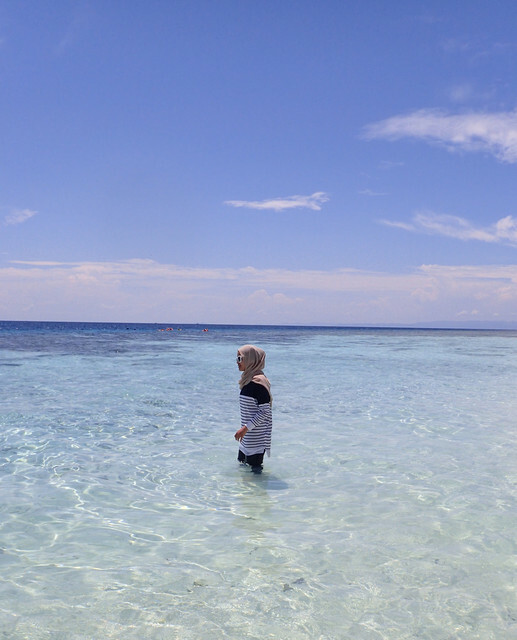 No room for you ya.. but, I got so many cousins hhahhaah, but dunno about their availibility. Pakcik-pakcik, rumah dah kata pergi, kubur dah kata mari, bawak-bawak la bertaubat ya.